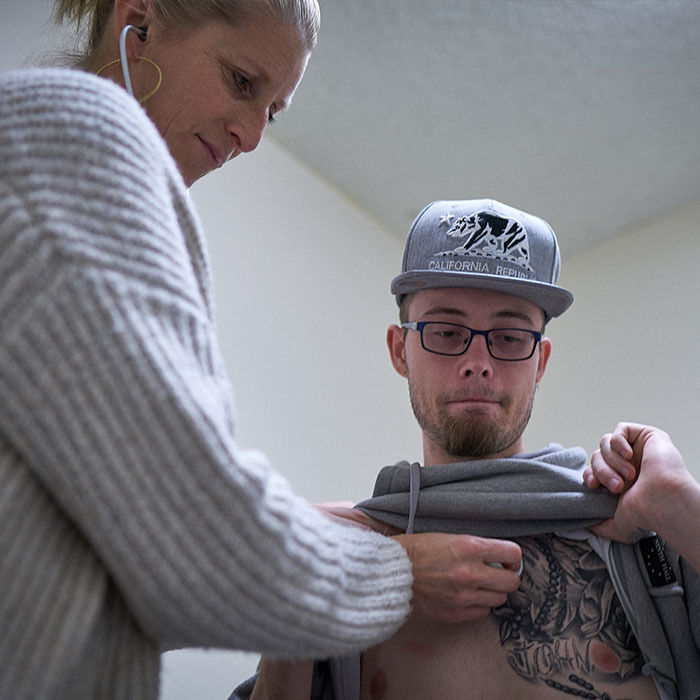 Many roadblocks keep patients from getting health care. Maybe a facility does not take a patient’s insurance. Perhaps the patient does not have transportation to get to and from the health clinic. A majority of providers only open from 9 to 5, during peak work hours for many. Northern California’s OLE Health recognizes these obstacles within its community. 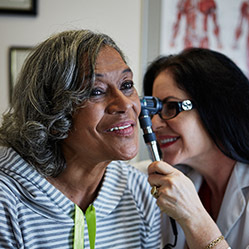 So in order to ensure equitable access to quality care to residents across Napa and Solano counties, the staff venture outside of OLE’s health clinics and into the region — into vineyards, homeless shelters, parks, and community centers — to help patients get the care they need. That dedication to patient care is what caught the attention of Capital Impact. In fact, when OLE Health expanded from Napa to Solano County — a region with different needs and new demographics — Capital Impact supported that expansion with $1 million in financing from its California Primary Care Association Ventures loan program. 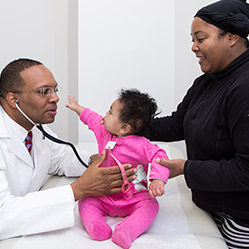 This new location allows OLE to continue to fulfill its mission of meeting patients where they are. This series of photographs tells the stories of several doctors and patients whose lives are positively impacted by the vital services OLE provides through its innovative approach. We invite you to click the circles below each set of pictures to view the entire series. About 15 years ago, the OLE team noticed that Napa’s farmworkers — the 6,000 or so workers who produce the region’s famous wines — were not getting the care they needed. Since many workers send money to their families in Mexico, they did not want to miss a day’s worth of wages, so they often skipped valuable preventative care appointments. As a result, many waited until they were extremely ill before finally seeing a doctor. Some seasonal workers didn’t know their options for health care as immigrants, so they put off seeing a doctor until they went back to Mexico, often spending months in pain. OLE Health, which was founded as Clinica OLLE (Organizacion Latino Americana de Liberacion Economica) in 1972 to provide care for Napa’s low-income, uninsured, and Spanish-speaking agricultural workers, knew it had to do something. So the OLE staff started going to farmworkers — at vineyards and farmworker housing centers. 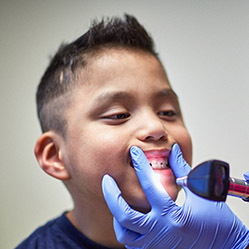 Clinic workers offered free health screenings in the evenings — so patients didn’t have to miss work — and provided education about healthy habits, dental care, and common chronic illnesses. The staff also gave referrals to OLE’s clinics for any further care. First launched at its health clinics, OLE also started incorporating its signature “warm hand-offs” into the screenings, where medical providers who identify mental or behavioral health issues introduce patients to behavioral health specialists during their appointments so they can plan for further treatments. Today’s fair is one of the many that OLE hosts yearly in conjunction with wineries throughout the region. The lineup of resources at events, which range from legal advice to alcohol and drug rehabilitation information, is the direct result of feedback from farmworkers. On another weekend, Contreras-Vigil spends her Saturday morning at a health fair in downtown Fairfield, California — an hour north of San Francisco and just a few miles away from OLE’s newest facility. She is spreading the word about OLE’s services and the variety of ways people can connect with them. Over the years, OLE has turned to on-site health fairs and other innovative approaches to broaden its reach. 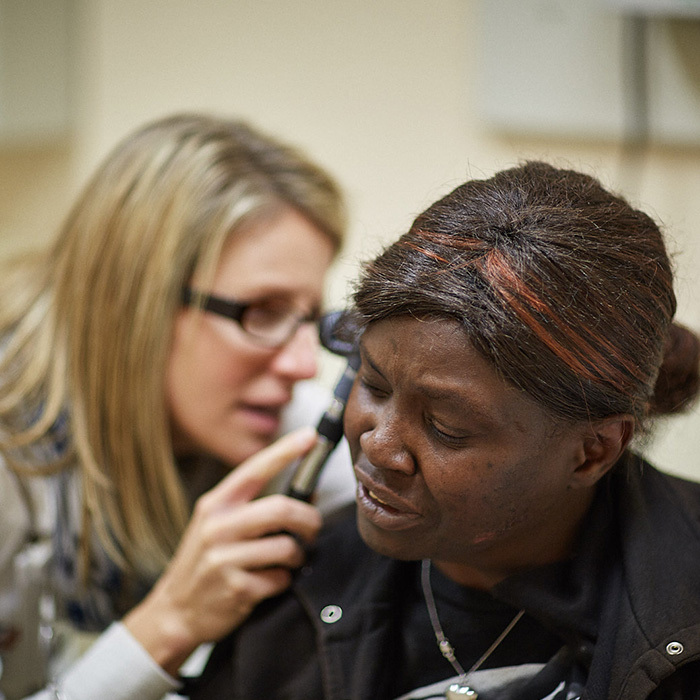 The goal is to help as many patients get the care they need. Angel Calderon, a former farmworker, was out walking around Napa with his family a few years ago when he noticed a group of men walking toward a bridge. 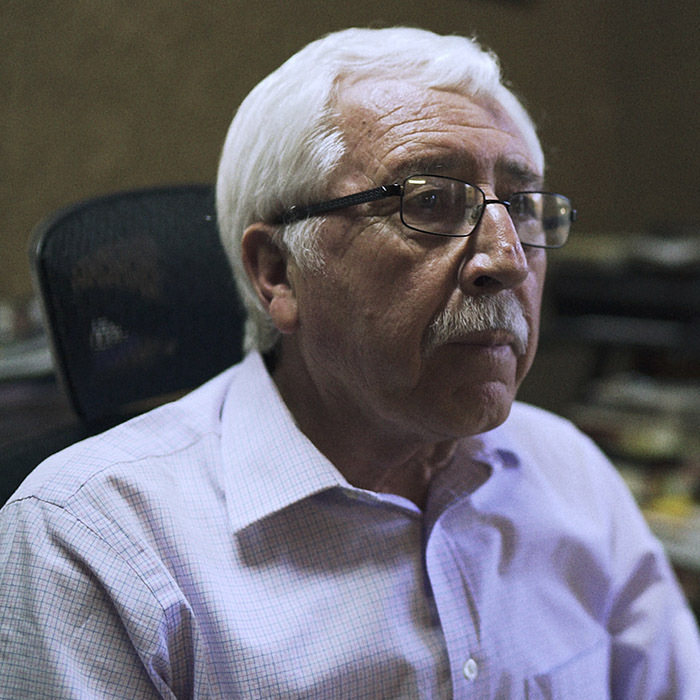 When he followed them, he discovered that the men — all farmworkers for nearby wineries — were homeless and lived under that bridge surrounded by waste. Many farmworkers don’t have a place to call home due to the region’s high rents and lack of affordable housing. 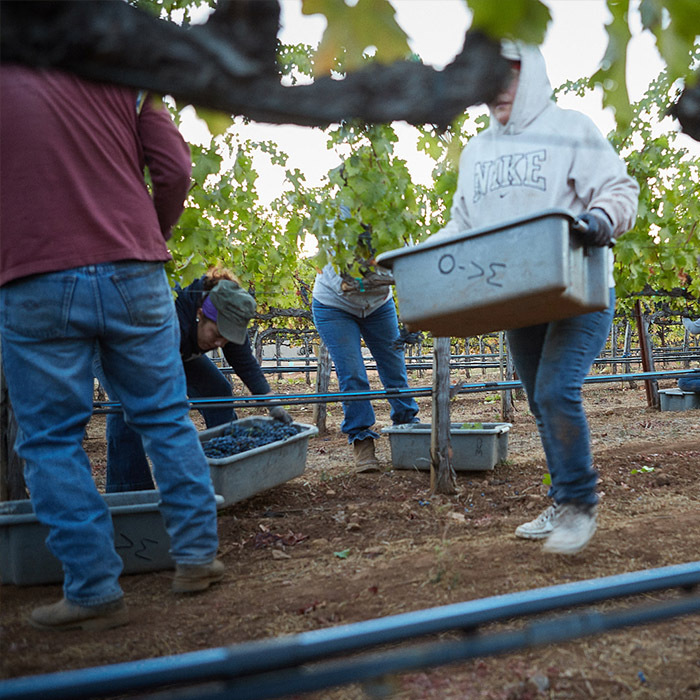 Horrified, Calderon began working with vintners to create housing for the region’s seasonal workers. Now, Calderon runs the River Ranch Farm Workers Housing Center, one of Napa’s three farmworker housing centers, which hold 60 workers each. For $14 a day — and a pay stub proving they work at one of the farms or vineyards — workers get a bed in the tidy dorms and three hearty meals. Workers spend their days picking grapes or grafting grape vines. It’s hard, physically demanding work. The high-end wines produced in Napa that sell for hundreds of dollars require that the grapes be hand harvested as opposed to harvesting with machines. And when they’re done for the day, health care is often the last thing on their mind. So OLE introduced a program to visit them at housing centers like the one Angel runs. For the center’s residents, many of whom suffer from work-related issues such as back pain, sun damage, and conditions associated with agricultural chemicals, OLE’s twice-yearly visits may be the only chance they’ll get to see a doctor. After they receive a physical, farmworkers get referrals to other OLE facilities if needed. Jose, a vineyard worker living at the shelter, was surprised by the range of services offered at OLE’s event. In addition to a medical team, there were representatives from the police department and immigration offices. “I came to do a medical checkup, and they sent me to Clinic OLE to see a doctor to do more tests, and he gave me a routine physical. It was a positive experience,” Jose says. Without OLE’s visits Jose would most likely go without health care. While OLE started as a resource for farmworkers, in the 1980s it expanded to help all of Napa’s vulnerable populations, a practice it still continues. Every Tuesday a team of three providers from OLE Heath — a doctor, behavioral health specialist, and physician’s assistant — finishes their day and heads to South Napa Shelter for their second shift. It’s one of two Napa homeless shelters in which OLE has a permanent space, and its services are in high demand, with a constant line of patients eagerly awaiting care. Like its other efforts OLE does not just focus on physical health care; it also helps people acquire transportation to other clinics and provides nutrition advice or dental care, if that is what a patient needs. During the visit, if the doctor identifies a behavioral health issue, she’ll call in the behavioral health specialist, who will visit with the patient and then refer him or her for further treatment at OLE if necessary. OLE prioritizes a whole-body approach to health, and the behavioral health specialist is part of that puzzle, helping to address underlying mental health issues — an especially vital service in a place like the shelter, where the majority of residents struggle with addiction issues. Chris is 56 and has been homeless for about ten years. When Chris lived on the streets, he turned to alcohol to numb the pain. He appreciates OLE’s whole-body approach to health. These kinds of traumas can lead to emotional sessions, but over time, patients have come to trust the providers at OLE. During her appointment with shelter resident Cheryl, Montes listens as Cheryl describes her past negative experiences with doctors and her fears about being thrown in jail. Montes takes it all in, listening intently, murmuring comforting words and passing a tissue when necessary. “You have our support. You know that, right?” Montes says. “I know that with all my heart,” Cheryl, a resident of the shelter, responds. “There are times that I’ve been bitchy and mad and angry, but they’ve never turned me away,” Cheryl says of her experience with OLE. “They never shamed me." Jacky, a 23-year-old mother of five who talks in rapid-fire fits and starts, agrees. “I really don’t go to hospitals. I don’t like them. I’ve had bad experiences in them,” she says. “But OLE helps me not be so afraid because they like to help. It’s a long day for Montes and her team. While the hours at the shelter are supposed to be from 6 to 9 p.m., they usually stay until 10 or 11 to ensure they see every patient. But it’s worth it, she says, because she knows what would happen if they didn’t make these visits. A few miles away from the South Napa Homeless Shelter, Dr. Lynette Leighton, a family medicine physician at OLE, prepares to see patients at VOICES. The downtown Napa community center helps young adults transitioning out of the foster care system. At the center, 16- to 24-year-olds can participate in a variety of programs to help them learn skills, ranging from housing readiness to college preparation. They also receive the health care they need from OLE, which partnered with VOICES in 2008. Leighton and her team work at VOICES once a month. Seeing her or her team members provides a low-stress, comfortable experience for the youth there. Instead of schlepping across town to a sterile doctor’s office, the young adults can simply stop whatever they’re doing at the moment — whether that’s creating their first resume or playing video games with friends — and walk down the hall to get care. Leighton enjoys it, too: “It’s my favorite day of the month, every month,” she says. “That ability to easily get care is vital,” says Leighton. She points to the fact that many patients here require certain procedures that dramatically affect their health and quality of life. But they don’t receive it because the procedure is only offered at OLE’s St. Helena location, a 20-mile journey from Napa to St. Helena. Traveling that distance is a real barrier for a lot of patients. Twenty-one-year-old Rhys, an ex-staffer at VOICES who’s gone through the center’s program, likes the fact that Leighton has been a consistent presence there over the past four years. It hasn’t always been easy for Leighton to gain the trust of her patients at VOICES. Many have spent their lives bouncing around various institutions — foster care, courts, sometimes juvenile hall. They don’t trust the system, and they don’t always trust adult authority figures. She’s worked hard to make her exam room a safe, trusted space. Interested in Community Health Center Financing?